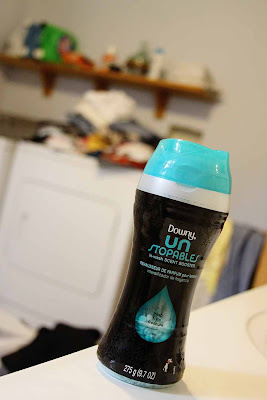 1) Downy Unstoppable in-wash Scent Boosters; have you tried this yet? If you haven't OMW, go get yourself some. It's like little pebbles of fabric softener you put in the wash and it makes your clothes smell ah-may-zing! But amongst friends, I will buy any gimmick that gets me excited about doing laundry. 2) Starbucks Salted Caramel Latte - ahhhhh the sweet caramel flavor blended with a tang of salt, Mmmm 2) Tootsie Fruit Rolls; they have forever been my absolute favorite and Hannaford has them 50% off making them $1.44, so I bought seven bags. WHAT?! They are hard to find!